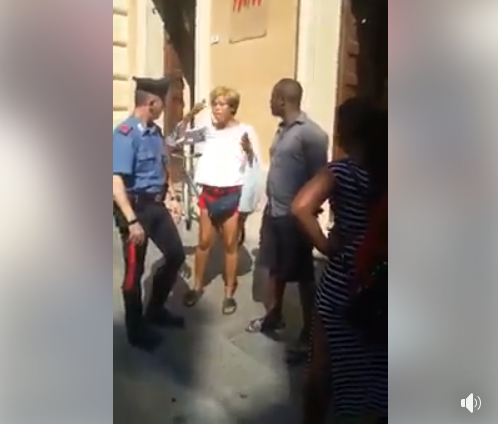 Some Italians have taken to social media to lament over Nigerians and other Africans who are finding it difficult to abide by the rules in their country (Italy). 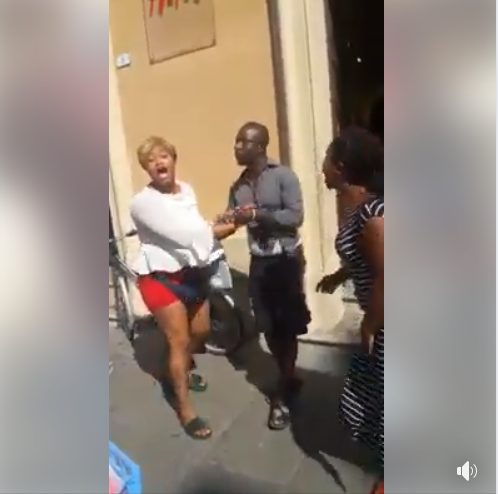 This time a Nigerian man was publicly humiliated by some Nigerian ladies for allegedly scamming fellow country girls with promise to give them jobs in order to sleep with them. Meanwhile, the incident occurred in Reggio Emillia area in Italy, two ladies held the man publicly on the street after accusing him of sleeping with various Nigerian girls all in the name of giving them jobs. 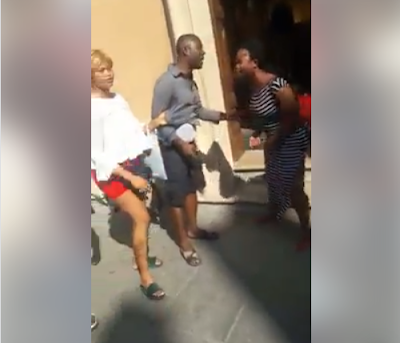 In a trending video posted online, the man can be seen begging the aggrieved ladies who held his clothes and promised to disgrace him while another Nigerian lady filmed the incident. The incident caused a scene in the area as passersby looked on before a policeman came to the man’s rescue.